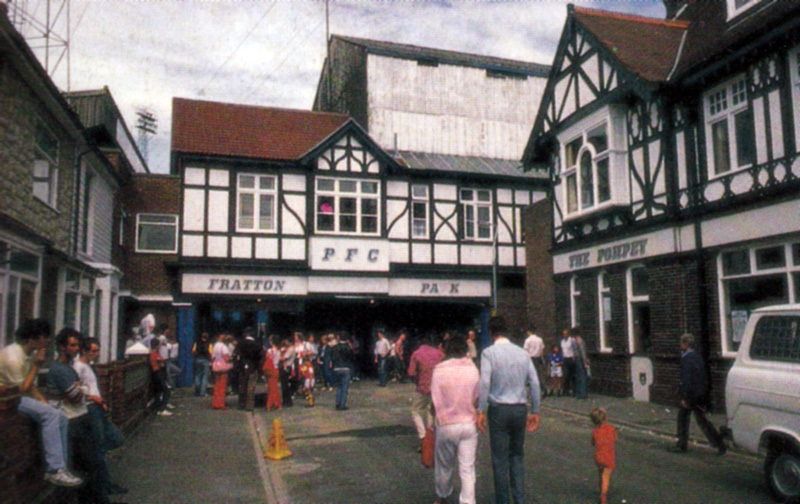 Brighton’s shell-shocked players and fans are still finding it hard to come to terms with the club’s plans to sell the Goldstone Ground and share Portsmouth’s Fratton Park from next season. Albion’s chief executive David Bellotti says the Second Division club are now £6 million in debt and the only way for them to survive within their own resources is to sell the Goldstone – their home for 93 years. Bellotti claims there are now provisional contracts in place for the sale, and that is why they have secured a provisional agreement to play at Portsmouth, but he stresses that temporary facilities much nearer to the Goldstone are being examined. A possible location is the Hove greyhound stadium, less than a mile from the Goldstone, but vanous hurdles need to be overcome before a safety certificate can be granted. As well as an agreement from owners Corals, Brighton would need land from the adjoining Alliance and Leicester Building Society, a new stand for 5,000 supporters and financial help from Hove Council. Fans have been quick to oppose the prospect of making a 100-mile round trip to Fratton Park for home matches by staging a pitch invasion and demonstrations. But Bellotti emphasises going to Portsmouth would be a last resort. Brighton have been told by the Football League that they will not sanction the ground-share unless they receive guarantees that the club will be building a new stadium in the town. So far a site for Brighton’s proposed 30,000 seater multi-purpose ground has not been identified and the League say they need to know the situation well before next June when Brighton are due to leave the Goldstone. League spokesman Chris Worley confirms that regulations state new clubs must play in their home town while establishing themselves in the League. 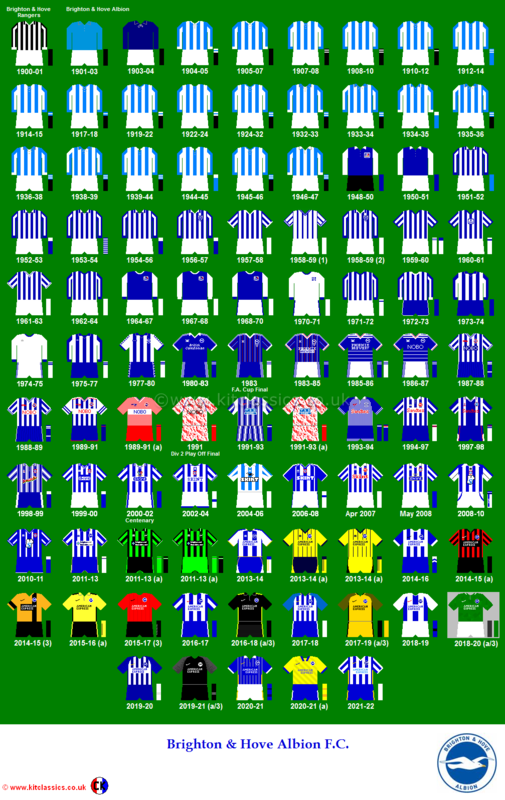 but the League would do all they could to help established sides, like Brighton, survive. The League are anxious to avoid a repeat of the situation which led to the demise of Maidstone three years ago. The Third Division outfit were allowed to ground-share at non-league Dartford but their plans for a new stadium in the town never came to fruition, and the club eventually resigned from the League after going out of business. Said Worley: “Brighton moving to Portsmouth is not ideal because of the distance supporters would have to travel. But it wouldn’t be a major obstacle as long as there were cast-iron guarantees from Brighton about the future. Bnghton say they have to repay more than £4 million worth of debt by next June, but the total amount they owe is approaching £6 million because of other debts which are to be met on different timescales. 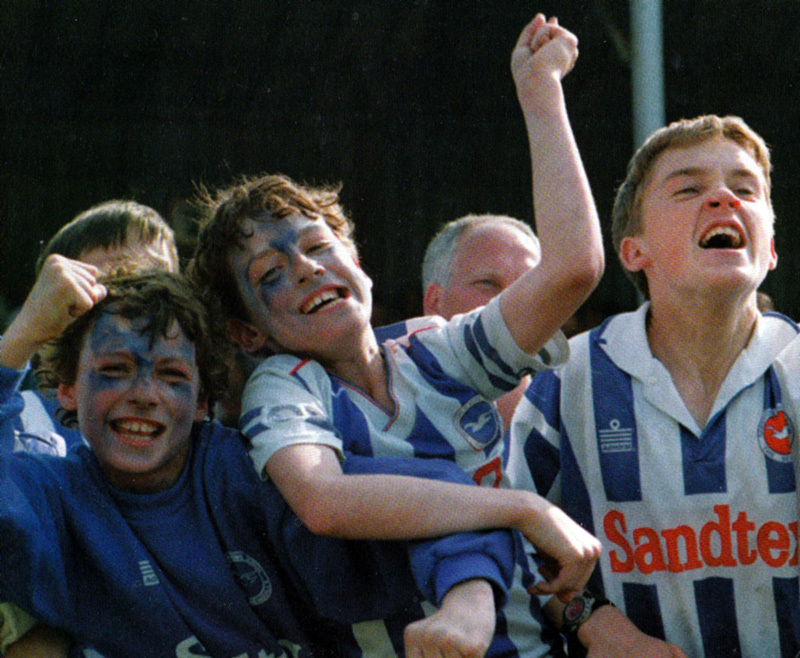 Bellotti maintains the only thing that prevented Albion from folding in 1993 was a financial re-structuring. This resulted in Greg Stanley and Bi!l Archer becoming the only shareholders in the club. Said Bellotti: “They had a clear determination, whch rernalns to this day, that the first and foremost objective was to have a winning team and obtain Premier League status. “A second objective was to build a new stadium fit for Premier League football. The Goldstone Ground cannot be developed as a football stadium. Funding the debts in a ground that cannot be developed is not a viable proposition. The debts become repayable in the summer of 1996. They were incurred over many years and resulted in several High Court appearances in 1993. Bellotti claimed club chairman Archer and president Stanley would Invest money on the club provided Albion has the council’s support to build a new stadium. He added: “By the close season in 1996/97, the shareholders will make available more money than ever before for manager Liam Brady to buy players to strengthen the team for a real push for promotion. A step in the right direction has been the setting up of a Sports Development Trust with the aim of attracbng funds for the new stadium. Meanwhile, Brady has gone into his second full season in charge having only added loan players Gary Bull and Greg Berry to his squad. His sole cash signing since taking over 21 months ago has been winger Stuart Storer, a £15,000 buy from Exeter last season, and Albion’s plight would be even worse without veteran battlers Steve Foster and John Byrne. Brady commented: “It’s ironic because I had all this stadium talk when I was manager at Celtic. It didn’t help me there and it’s not helping at the moment. I wish I couid manage in calmer circumstances. The former Republic of Ireland star admits this is a critical period in Albion’s history but he and his staff remain committed and won’t be quitting. He confessed: “The situation at Brighton is of a very big concern to me, though it’s really out of my hands. I don’t have any role in decision-making as regards which way the club is going. “Whether the right decisions have been made I am not prepared to say at the moment. I think we have got to give a little bit more time for things to develop. Despite Brady’s attempt to sound optimistic, Brighton’s playing prospects were bleak. He did not survive the season as the club were relegated to the bottom division at the end of 1995/96.